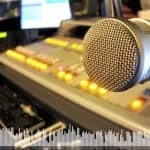 WyoFile energy and policy reporter Dustin Bleizeffer spoke with Cassandra Lee of KHOL 89.1 about the caucus fallout, and about energy policy discussions in Wyoming's U.S. House race. WyoFile energy and policy reporter Dustin Bleizeffer talks with Cassandra Lee at KHOL about the layoffs and the scarce resources available to help workers hit by the energy downturn. Angus M. Thuermer Jr. discusses his recent article about the annual Yellowstone bison slaughter with Cassandra Lee of KHOL 89.1 in Jackson. Thuermer was among reporters who were recently allowed to watch crews process wild bison for slaughter. WyoFile editor-in-chief Dustin Bleizeffer talks about big changes in Wyoming's coal industry, and what it means to Wyoming's economy.